Appalachia Cookie Company makes cookies the way your grandma’s grandma made them: from scratch, with real ingredients. Our products range from the traditional (Chocolate Chip, Snickerdoodle, etc…) to the unique (Blueberry White Chocolate Oatmeal, Apple Pie) with a few off the wall flavors like our Bacon & Bourbon cookie with dark chocolate and maple syrup. Our flavors aren’t the only unique aspect about our niche bakery. We also deliver fresh, made to order cookies and ice cold milk until 3am, locally. The only thing we care about as much as the quality of our Appalachia Cookie Company cookies are the communities that we are fortunate enough to call home. 30-Thirty Project is our labor of love, a subscription based shipping package that allows us to donate 30lbs of food per month per subscription to families in need of food assistance here in Appalachia. It all began in 2012, while living in a small college apartment above a bar in the beautiful mountains of Boone, NC. As a student at Appalachian State University the company’s founder, David Holloman, saw a need for an alternative to the traditional late night pizza and sandwiches. While he knew he wasn’t the first to offer late night dessert delivery, and he certainly wasn’t the first to person to bake a cookie, it was his goal to make the absolute best cookies people had ever eaten. With that goal in mind he bought a mixer and began making a batch of what would come to be… some of the worst cookies anyone had ever tasted. That’s right, Appalachia Cookie Company made a lot of really bad cookies before we started making the incredible treats we have today. After a year of late nights, early mornings, burnt cookies, oven fires, final exams, capstones and lots of trial and error, the cookies were ready. Well, we quickly made a believer out of the Sheriff’s department along with the rest of Boone. Within the first year we had such a large demand that we had customers from all over the country asking for our confectionary delights. We began our shipping program just over a year after the company opened and within three months we had shipped Appalachia Cookie Company cookies as far as California, Hawaii and even Ireland. The company was quickly outgrowing its space and it was time for a change. After almost a year of searching for a location that would fit the company’s needs, we found the perfect spot. 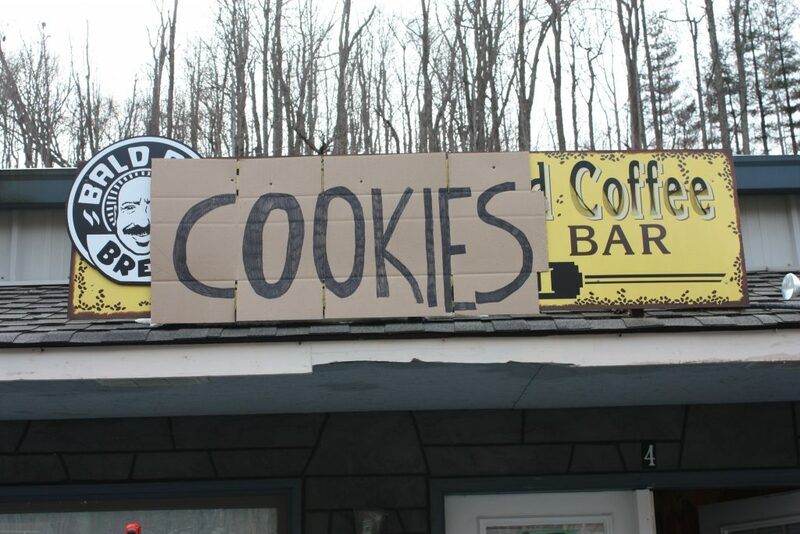 Appalachia Cookie Company had the opportunity to return to where it all began, after nearly three years of being in business. The company’s new home would be one of the three retail spaces (below the apartment and next to the bar) where the original recipes were created. You can’t walk up to the ovens any more but the cookies are still the same, made from scratch and baked to order. Now the company is excited to be opening a second location in Charlotte, NC near the University of North Carolina at Charlotte. It is our goal to continue to grow to other cities and spread our delicious cookies across the country for everyone to enjoy. It is Appalachia Cookie Company’s goal not only to bake and deliver a high quality product to our customers but also to better the community and environment in which we operate. 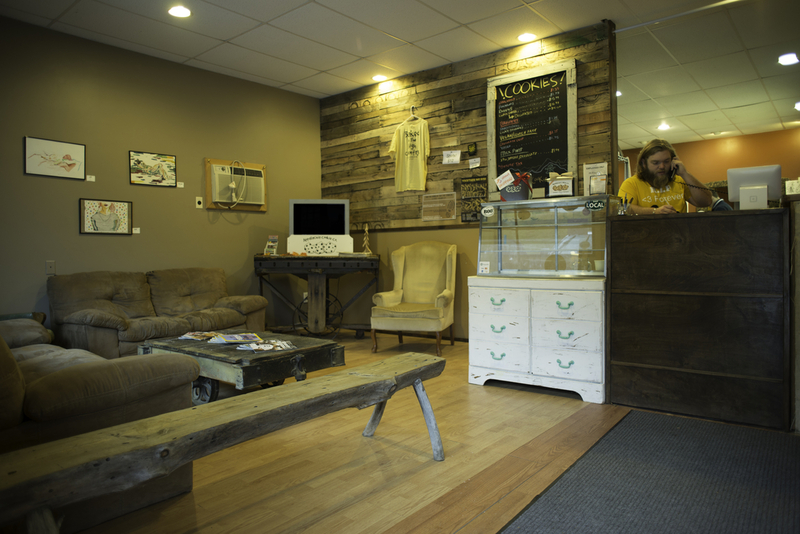 A healthy community means a healthy business. We hope that you will join us in this goal and not only become our customer but also our friend.